This ring will be made to order. Please allow approx. 3 weeks to complete it. 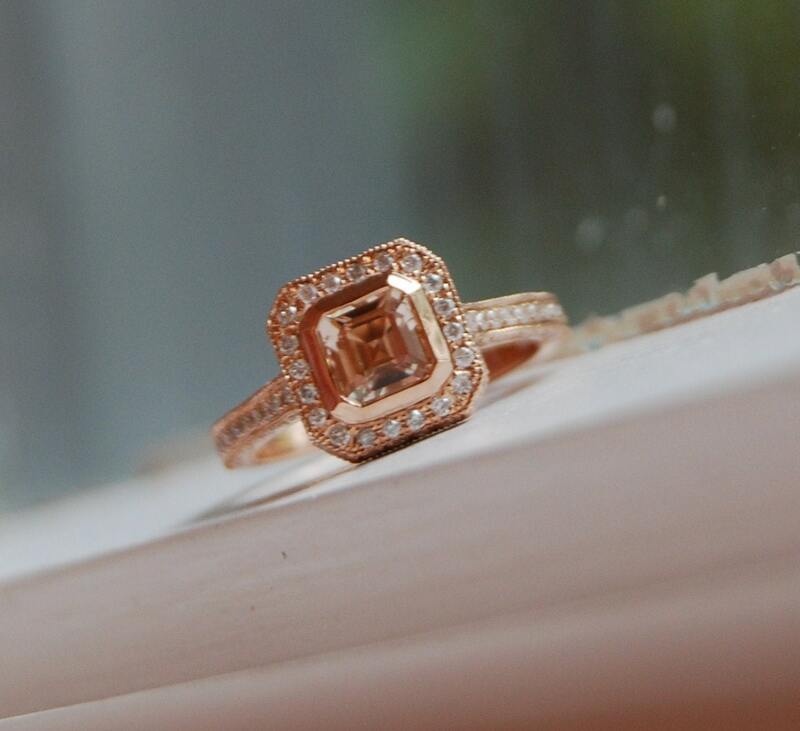 Honestly, I am not a huge fan of rose gold, but when I`ve got this sapphire - nothing else could enter my mind. 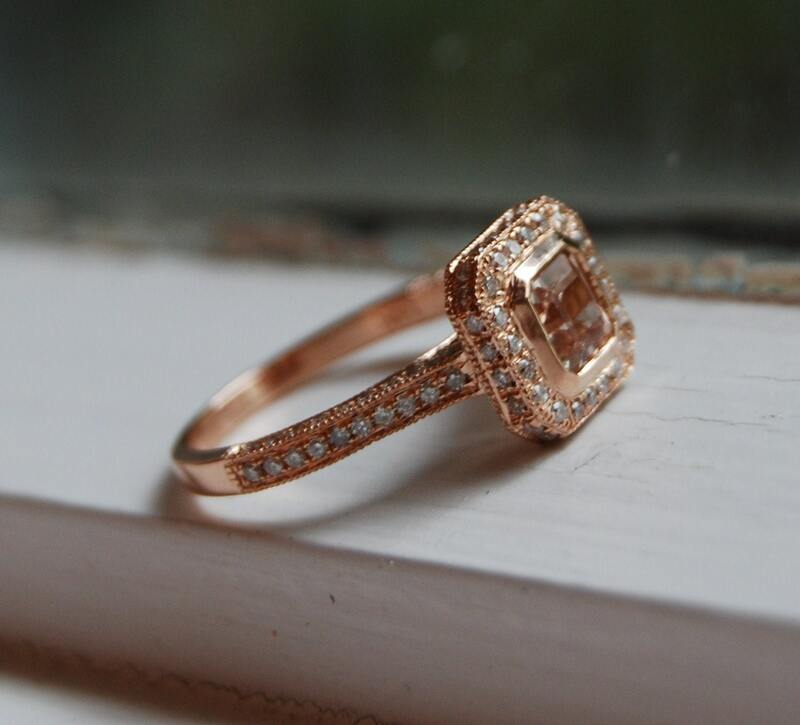 This sapphire has a ROSE GOLD color... that`s just unbelievable, absolutely perfect match. The sapphire is unheated and untreated. The color is peach champagne. 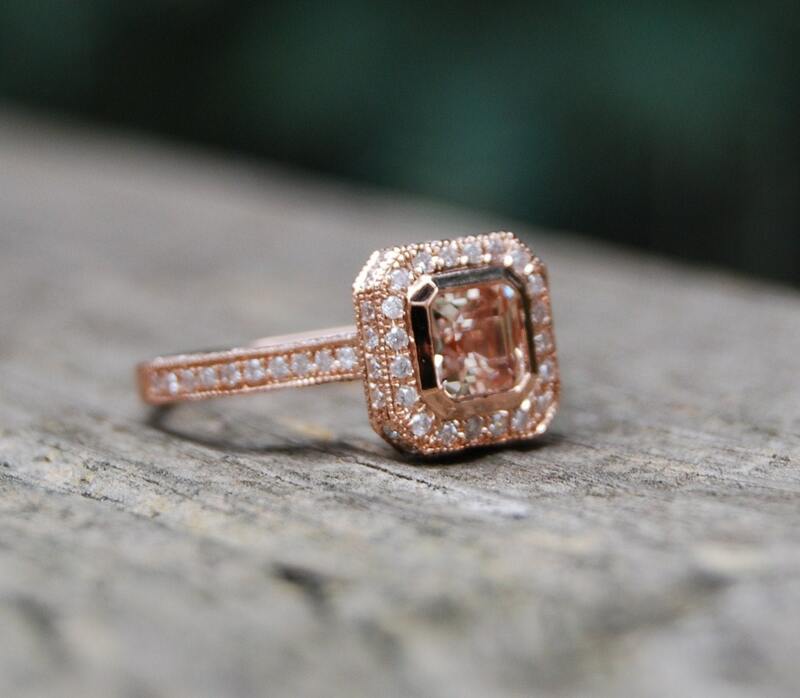 Amazing rare Asscher cut - tone of sparkles. 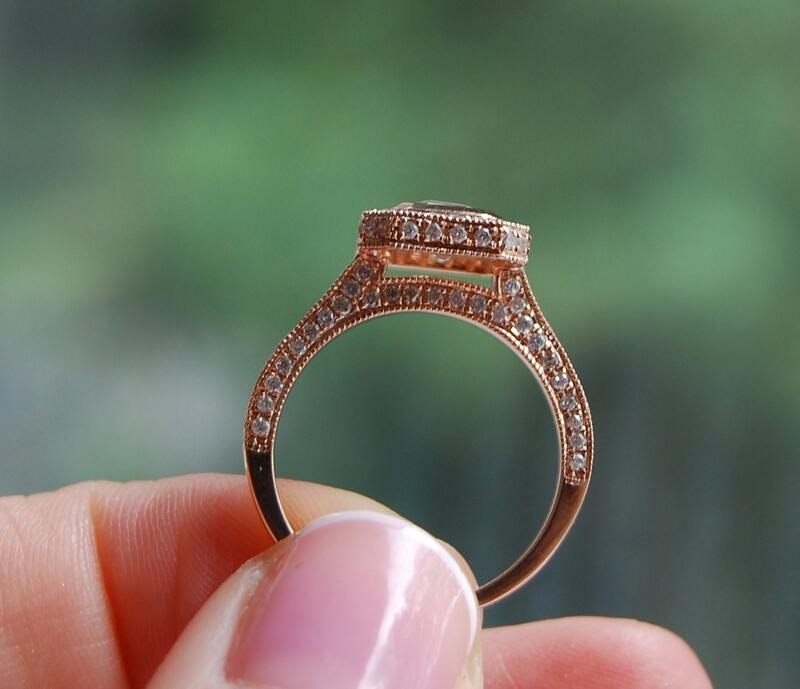 It is 0.65ct, VS.
14k rose gold 3D setting, diamonds all over the ring - very flashy. Milgrain edges make this ring even more unique. Beauftiful ring! It looks even better than the photos. 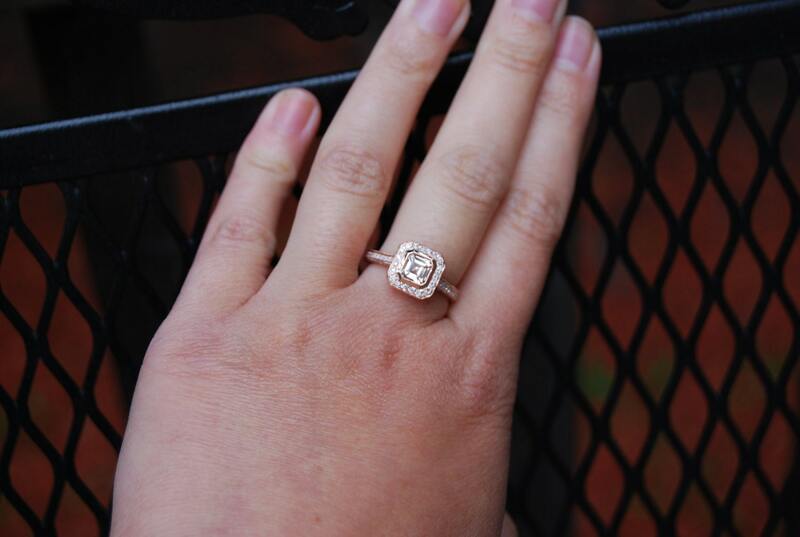 I was a bit worried about buying such an intricately designed ring online without seeing it in person first, but this did not disappoint!